Home / Articles / Is a Cracked Tooth Worth Fixing? Like root canal treatment or an enormous cavity, a cracked tooth is an urgent matter for many people, simply because it looks or feels strange and is a worrying issue to have to deal with. Your teeth are supposed to be in one piece, after all. 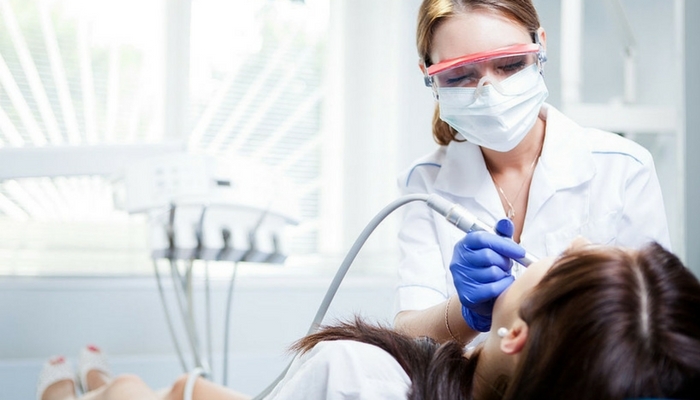 Even if you aren’t terribly concerned about your cracked tooth, failing to seek treatment by visiting one of the local dentists could potentially lead to some long-term problems such as tooth decay, a root canal, damaged nerves, or even loss of the tooth. Learn more about the risks associated with failing to fix a cracked tooth and why immediate dental care is the best approach to dealing with this surprisingly serious medical issue. Cracked teeth are a unique dental care issue. They can form anywhere on a tooth, from the root at the bottom to the neck in the middle and the crown on top. As the name implies, cracks often manifest as linear fissures and, in most cases, the structure of the tooth is preserved. This is part of the reason why some people might think a crack isn’t a serious issue, but the fact that your tooth isn’t missing any major parts doesn’t mean there isn’t a problem. Though they’re all potentially serious issues, cracks are different from chips or fractures in that most cracks form as a result of repeated strain on the teeth rather than a sudden injury or impact. This means that the molars, the teeth in the back of your mouth, are the most likely to suffer from cracks. These are the teeth that bear the brunt of repeated pressure from chewing, and if you grind your teeth, your molars may be especially prone to cracking. In particular, molars with fillings are at risk for cracking because the hard enamel shell of the filled tooth is weaker and some filling materials, especially those made from metal, naturally expand and contract over time. If a metal filling expands too far and takes up a lot of space within a tooth, it can cause the enamel to crack. Cracks below the gum line are considered the most serious because there really isn’t a way to treat these cracks. A crack above the gum line may be repairable with fillings or crowns, but dentists can’t perform these kinds of procedures on enamel below the gum line. Like cracks in a sidewalk, cracks in tooth enamel are likely to deepen and spread over time. What starts out as a minor crack at the crown of your tooth can spread and become a serious crack extending all the way down to the root below the gum line. Cracks are more serious than crazes, which are very shallow fissures that may not be visible even on a dental X-ray. Most people have at least one or two craze lines by the time they reach adulthood, so they’re pretty common and aren’t of concern for most people. Craze lines can develop into cracks over time, though, so they’re worth keeping an eye on. When a crack appears, it is deep and significant enough to show up on an X-ray. You will probably be able to feel it with your tongue or see it when you look at your teeth in a mirror. The more dramatic the crack, the more noticeable it is. Cracked tooth enamel can split so deep into the enamel that it exposes the soft dentin or pulp on the inside of the tooth and this is where the potential for serious problems really comes into play. The first issues to arise after you sustain a cracked tooth may seem relatively minor. 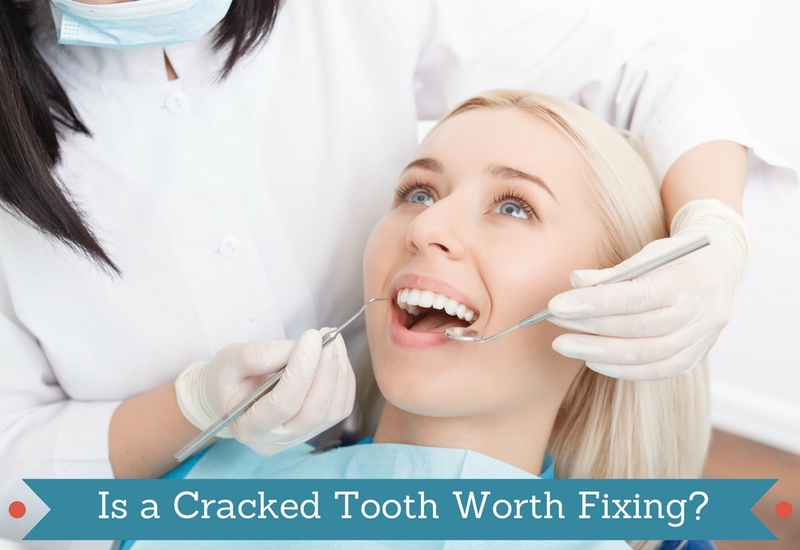 There’s likely to be some discomfort, though the degree to which this is an issue depends heavily on how deep the crack is and where it is on your tooth. A crack that’s deep enough to expose dentin or pulp will likely result in some pain and sensitivity. The more significant the crack, the more significant the potential for pain. Your experience of pain and sensitivity related to the cracked tooth is often the only information you have to determine how serious the crack is, and that makes it difficult to self-diagnose. Everyone experiences this discomfort differently. You may feel a low level of constant discomfort emanating from the cracked tooth, or the pain may be limited to sharp jolts of pain when chewing, flossing, or brushing. Your teeth may also experience increased sensitivity to temperature. If you have a cracked tooth that you haven’t treated and you’re suddenly feeling a lot more pain and sensitivity on that side of your mouth, though, that’s a pretty good sign that the problem has got worse. In addition to pain, a cracked tooth can be the first step down the road to an infected tooth. The dentin and pulp in your teeth should not be exposed. They need that hard enamel to protect them from bacteria. Infections in the soft inner parts of your teeth can be painful. They can be gross, resulting in oozing sores in your mouth. They can also be dangerous, leading to a serious infection that causes high fevers and requires immediate emergency medical attention. On top of that, cracked teeth can get so bad that they turn into fractures. If you leave a cracked tooth untreated and don’t address the issue that caused the crack in the first place, you open up the possibility of breaking your tooth. The crack may also extend down past the gum line, at which point your treatment options beyond extraction become extremely limited. Leaving a cracked tooth untreated just isn’t a good idea. You can really open yourself up to some serious problems if you neglect the issue. Cracked teeth don’t heal on their own, and the longer you wait to seek treatment, the more it’s likely to cost to get it fixed. If you experience a sudden crack in your tooth enamel, you don’t necessarily need to seek emergency treatment. It depends on the severity of the crack. However, as mentioned above, it’s nearly impossible to gauge for yourself how serious the issue is. If you’re experiencing a lot of pain and sensitivity, you should definitely go seek treatment as soon as possible. If you’re only slightly uncomfortable but know you had some risk factors for a serious crack, you should also seek emergency dental care. It’s better to be safe than sorry. The sooner you get treatment, the greater the chance that you’ll save your tooth and avoid the need for expensive extraction and dental implant treatment.